360 Love and Blessings - Welcome! to your web-home for daily blessings, prayers and healing meditation methods. I created this sacred space because of the many special requests for healing prayers received from wonderful people like you. During decades of midlife coaching experiences and as an online radio co-host, I've often been asked to pray with powerful mantras. It's been said: Prayer is talking to God and Meditation is listening to God. Gifts to you today are prayers for healing, some online midlife coaching and free online radio programs with world-renowned voices of Oneness. You're invited to explore sacred, spiritual traditions offered in this 360 healing meditation methods site. Also, check back (you may bookmark the site) since I regularly update pages with articles, photos, stories, more healing info and unique cutting-edge meditation methods. May you be inspired and uplifted connecting to deep inner peace. As you journey through these powerful blessings for spiritual growth… may all benefit from this auspicious activity. 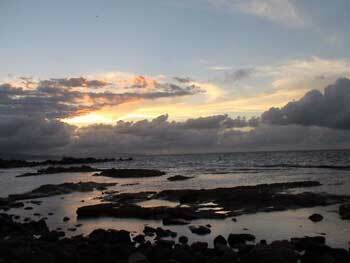 I took this photo on the island of Maui after sky meditation and prayers for healing to help all sentient beings. May you realize the sky-like nature of your mind… and feel deep inner peace, which is your birthright. May it defeat the enemy wrongdoing from the stormy waves of birth, old age, sickness and death. Please tell me who it is for, (first names only for them is okay) and what the exact focus of the healing prayers should be. For an example: "My Auntie Em (who is 85 years old) for healing her severe and longtime heart condition; my dear friend Bobby for his complete emotional healing from the recent shocking loss of his wife, who died instantly in a car accident; my mother Doris for a speedy and complete recovery from liver cancer that has spread throughout the body." ~ I trust this helps you, yes? Please be as specific as possible. Meanwhile, pray yourself in the best way that feels comforting to YOU ~ FYI: Please know I DO read all letters. I may not answer them all personally due to higher volume now, but I may mention you (your first name and country) on air during the beginning of my live! radio program, Consider This on the Art of Living Well Network at blogtalkradio.com. Please write your question, comments or Prayer Request in this box provided for convenience. Thanks so much! Heartfelt Blessings to YOU!